If trekking mountain and valley terrain looking for clues to the earth’s past, present and future sounds intriguing, the Wilkes University geology major can open a variety of career options to you. Geoscientists explore the history of the planet, look for ways to responsibly use its resources, and restore and reclaim degraded lands. Wilkes University’s curriculum, which leads to a bachelor of science degree, combines fundamentals of a traditional geology program with modern elements desired by industry. The program prepares students for graduate school and meets state requirements for professional licensure. A professional geologist license opens career opportunities and makes you more competitive in the job market. The program includes coursework in geospatial technology, giving you hands-on experience with industry-standard instruments and computer software to prepare you for professional-grade field investigations. These tools, which include geographic information system s, global positioning systems and remote sensing, allow you to map and analyze the earth. Program courses in hydrogeology, geomorphology, geologic hazards and applied geophysics highlight specialty areas important to the modern geoscientist. At Wilkes you can also pursue a complementary minor in energy or certificate in sustainability. You’ll work closely with expert professors, including licensed geologists, who bring experience in tracking volcanic activity in the Yellowstone National Park, siting wells for the Peace Corps in developing countries, and analyzing lake sediments that reveal patterns of Arctic climate change. Wilkes’ emphasis on mentoring goes beyond one-on-one attention with faculty; mentoring grants fund field experiences and student attendance at professional conferences. During your yearlong senior capstone project, you’ll work to solve a real-world problem, using equipment in the field and laboratory, refining skills in professional writing and presenting to faculty, fellow students and community partners. Many Wilkes students go on to present research findings at a Geological Society of America regional meeting. Your capstone, coupled with targeted study in mineral, water and energy resources, geologic and geo-environmental hazards, and applied geophysics, enhances graduates’ marketability to potential employers. According to the U.S. Bureau of Labor Statistics, employment of geoscientists, a category that includes geologists, is projected to grow 10 percent from 2014 to 2024, faster than the average for all occupations. Median annual wage for geoscientists was $89,700 in 2015.
environmental problem solving (global climate change, hazardous and radioactive waste disposal, soil and groundwater pollution, and land use management). Geoscientists enjoy a diverse work experience that includes field work, laboratory analysis, community engagement, and time in the office. The 72,500-square-foot Cohen Science Center features state-of-the-art equipment and related laboratory space for hands-on, experiential learning – a hallmark of the Wilkes experience. The third floor is dedicated to research laboratories for geology, biology, chemistry and environmental research, encouraging interdisciplinary connections and faculty-student interactions on teams. 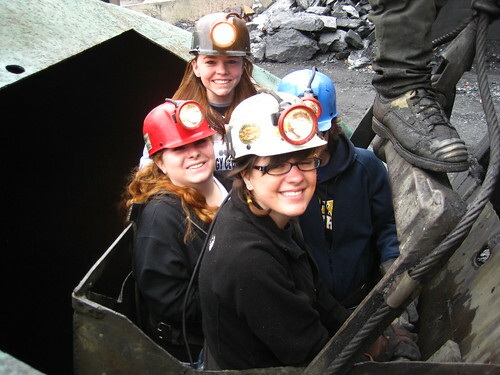 Wilkes University’s geology program provides field and laboratory research opportunities. This gives students hands-on learning opportunities not always available to students at larger institutions. The Industrial Advisory Council comprises professional geoscientists from industry, government agencies and the nonprofit sector. Council members ensure that the curriculum is relevant and current and advises the department on industry trends, emerging areas of interest, and professional development opportunities. Members include Wilkes alumni and employers of our graduates. Angelika B. Forndran, P.E., Cowan Associates Inc.
Lori Girvan, P.G. ’00, Barry Isett & Associates Inc.
Wilkes University GeoExplorers Club recently traveled to National Parks in the western United States. This photo shows the lowest geographical point in North America, the Badwater Basin. The 2018 Wilkes University Geology field camp is a five-week, intensive, project-focused, international field camp located on the island of Newfoundland in Canada. The Times Leader | U.S. News & World Report “Best Colleges”? Maybe not so much, locals say.